According to reports from UCAS, in the UK, a record amount of people have been accepted onto university courses over the last few years. It can sometimes feel as though going to university is the default route to take after sixth form or college. That isn’t always the case, but that’s not to say that university doesn’t have its place. For some, degrees are essential in order to get a career in a particular industry such as; medicine, law, dentistry, etc. However, depending on the career you want, there are a number of different routes you can take. So, what do you do if you don’t want to go to university- believing it’s not the right thing for you – or you’re simply just not sure what to do once you’ve finished compulsory education? Do you look into getting a job straight away? Do you consider apprenticeships/training courses? Or do you apply to university anyway as that’s what everyone else is doing? Ultimately, you should do whatever is right for you and the career you want. Take time to consider all your options and don’t be pressured by anyone else. It’s your future so your decision. Both university and vocational training courses have their pros and cons and different paths are right for different people. We are encouraging those soon to leave compulsory education to consider the option of vocational training. In particular, trades training courses. Regardless of which route you take, one of the first roadblocks people run into is affordability. UK university fees are higher than ever before and some of the highest in the world. With an average annual cost of £9,188, a three-year course can result in debt of £27,500 – and that’s not including a student loan. Overall debt after gaining a degree ranges from £50,000 – £57,000. Currently, graduates won’t have to pay back any money until they’re are earning £25,000. Any remaining debt will be written off after 25 years. In contrast, vocational training courses such as those delivered here at Options Skills cost between £5-7,000. These fees are paid through regular payments or a single one-off payment depending on what works best for you, prior to beginning the training courses. Therefore, by the time you complete your chosen course and are qualified in your trade, you won’t have any training fees left to pay off. Though this varies depending on the university course you’re on, many of them will involve a significant amount of time in lecture halls or seminar rooms. Coursework, essays and exams are often what students marked on, with a dissertation or final project tying up your studies. Through your course, you may be required to undertake work experience/have the opportunity to spend time working in the industry. Our training courses are organised into two or three stages. Stage one is centre-led training. During this time, trainees will spend time in our classrooms and workshops learning a mixture of theoretical and practical skills. Following this, trainees will go out to work on-site alongside qualified mentors. The final stage of training will consist of assessments, exams and presentations before earning qualifications. The average university course duration is three years. A masters degree adds another year to that and if you want a PhD, it can take up to eight years to achieve one. Vocational training courses can vary drastically in duration. 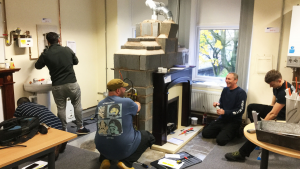 When it comes to the Options Skills courses, it will usually take a student a year or two to complete and gain their qualifications. This includes all three stages of training. From there, you will continuously progress and learn whilst out in the working world. At universities across the country, a single lecture hall could sit up to around 100 people while standard seminar and classroom sizes can range between 15-25. Vocational training class sizes tend to be smaller in size. At Options Skills, we limit class sizes to a maximum of ten. This ensures that our trainees get the attention and guidance they need. When it comes to university, half of all graduates go into a job within their chosen industry within six months of graduating. Many others will go into jobs that aren’t directly related to their degree, while some will be unemployed for a period of time before gaining employment. There is no guarantee that you will walk into a job straight after studying in any industry. 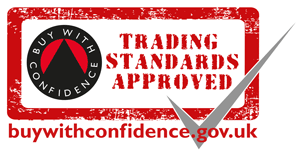 However, when entering the trades industry, you have the option of working on an employed, self-employed or sub-contract basis. This means that even if you can’t secure a role with a company in the trades, you can go it alone and be self-employed. Though this does take effort when it comes to marketing yourself as a tradesperson, you don’t need to rely on a company for employment. Usually, in order to be accepted onto a university course, you must already hold certain qualifications. These are often A-Levels or their equivalent. Your grades are then converted into UCAS tariff points. To secure a place, you will be expected to meet the point requirements set. This varies depending on the course. Universities will also look at your suitability in terms of your skills, interests and any experience you may have. Some will also require an admissions test and interviews. Requirements to enrol onto a training course can range widely depending on the course. For some, you may simply need 5 A*-C at GCSE level. Others will ask for previous experience. At Options Skills, we simply ask those looking to train with us to take an aptitude test. This allows us to understand their level of maths and English to ensure they are suitable for the course. Our NVQ Level 3 Electrical Training Course also requires a colourblindness test to be undertaken. 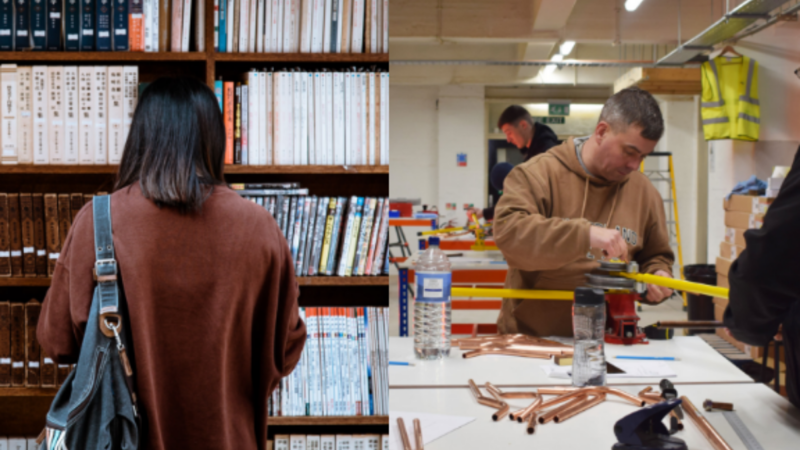 Whatever career you want, make sure you choose the right path, whether that is going to university to gain a degree, undertaking training to gain qualifications or simply working your way through work experience. 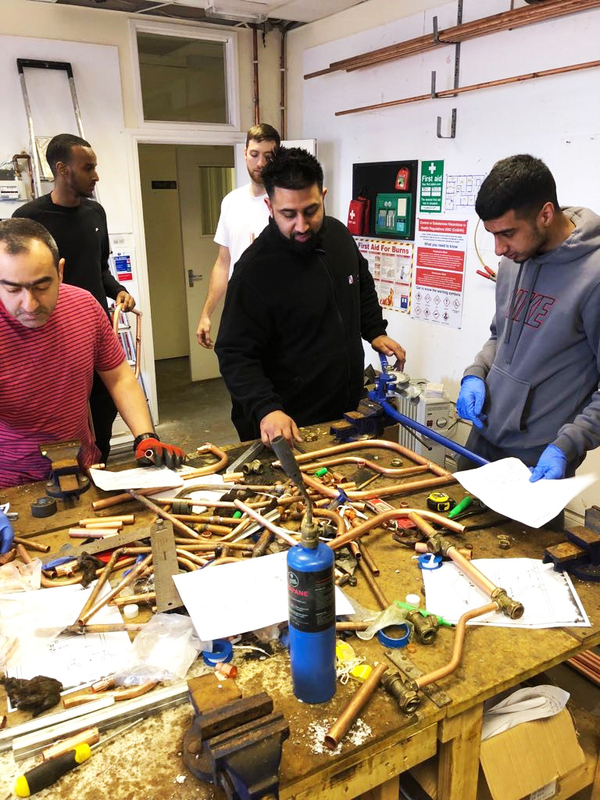 Through Options Skills, our students train to become electricians, gas engineers or plumbers. We also deliver ACS renewal for existing gas engineers and wiring regulation updates and inspection and testing for existing electricians. With dedicated student liaison managers and a whole team of experienced trainers in each department, our students receive high-quality training and on-going support throughout and after completion of their course. 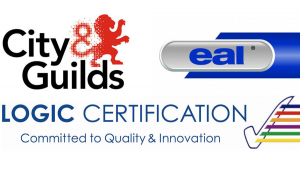 City & Guilds, Logic Certification, EAL – What’s The Difference?